If you've been around Python for a while, then you're probably familiar with Dan Bader. He likes to help people up their Python game and share his knoweledge of the language. Because of that, he released his own book, Python Tricks. Let's look at an example in each of the above items so you can have an idea of what is in the book. These examples are ones that I have learned from when reading the book. Code examples in this post are my own. The very first tip in this book goes over using assertions in Python. Assertions, if you aren't familiar, is a way to well, assert if a condition is true. More specifically, a condition in which you expect to be true. If you have an assertion and it turns out to false, it will throw an AssertionError. If an assertion is caught it's a good idea to see why. Doing so will allow you to catch bugs that you may not have been able to catch before which is why having assertions are helpful. Seeing something like this for the first time and, like me, you'll wonder what in the world that means. *args are extra positional arguments you can pass in. The * in front tells it to gather all of those into a tuple. So if we take the method definition from above we can print the *args. The **kwargs parameter does the same thing, but instead of a tuple it will be a dictionary since the kw in front of the args stands for "key word". Tuples in Python are essentially a collection that is immutable. That is, once it's definied it can't be changed. To easily spot a tuple, the values in it will be enclosed by parentheses. However, if we want to get access to get access to the first item of the tuple, there's no dot notation to give us access to it. Though, we can use slicing to access it. With a NamedTuple we can create a tuple and access items in it with the dot notation. Sets are a data structure that simply gives unique values. This can be quite useful if you want to remove duplicates from a list. What if we need an if statement in the loop, like below? That can also be broken down into a list comprehension. Often, when checking if a value is in a dictionary, it's not always known if that value is in the dictionary in the first place. The get method on dictionaries is a good way to get the value if it is in the dictionary or to return a default value if it is not in the dictionary. For example, let's say we have the below dictionary. We can get the y value with the get method. But if we try to get the value from z which doesn't exist in the dictionary, we can give a second parameter to the get method to return that value as default if the key doesn't exist. Also, if we don't specify the default value and the key doesn't exist in the dictionary, the get method won't return anything. 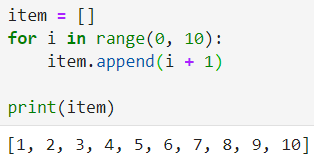 While Python is a great language it is also a bit weird to work with when trying to explore through code what methods or properties a variable can have. That's one of the nice things with C# and it being a typed language. 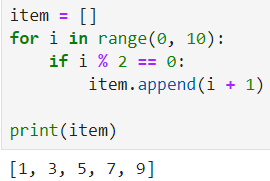 I can use the dot notation and intellisense to see what is available on a variable. With Python, though, that may not always work even in great editors such as PyCharm and Jupyter. This is where the dir method comes to the rescue. Using this method we can see exactly what method and properties are on a variable. For example, let's say you wanted to see what all is avilable on a list object. The dir method has saved me a lot of time trying to find what's available on objects instead of having to hunt down the documentation. I consider myself a beginner to intermediate in Python. Some of the tricks in here I've seen before, such as asserts and list comprehensions, but most of the ones in this book I haven't. I definitely learned quite a bit more about using Python. Both for cleaner code and to utilize what the language has to offer whether than defaulting to what I already know from another language. Whether you're just beginning or a pro in Python, there's something in this book to learn from. Maybe there'll be a second edition soon.